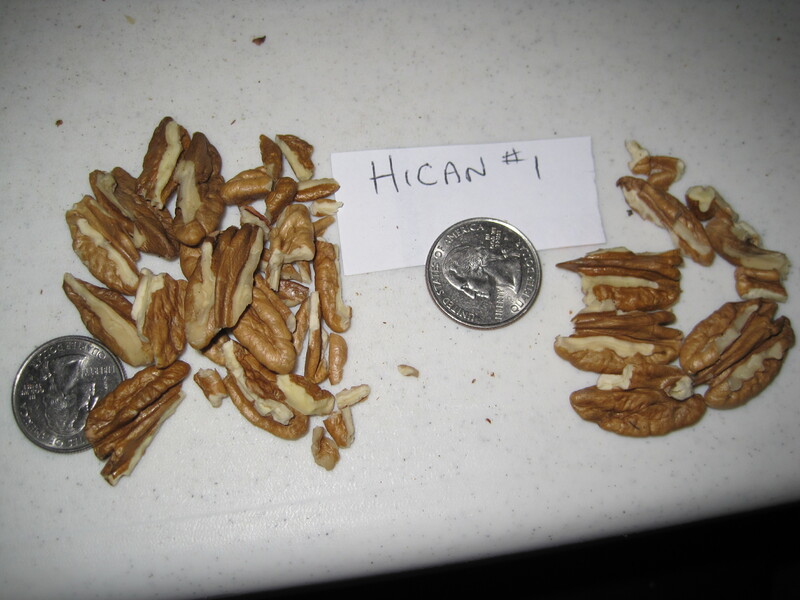 Michigan Nut & Fruit Growers Association is reviving the Nut Evaluation. Our first in many years was held on January 11, 2014. 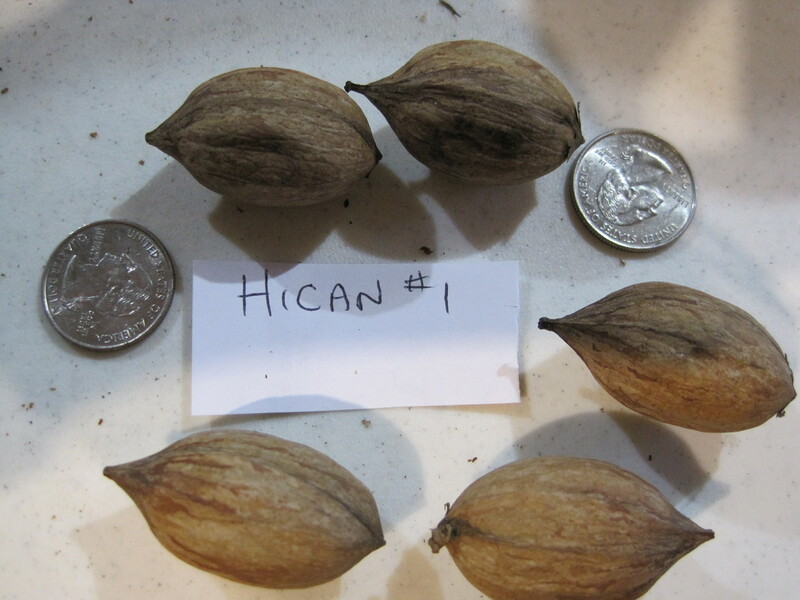 The goal is to evaluate the different nuts, compare them, and then seek scions from the most desirable trees to be able to clone them. The scions are grafted onto other member’s trees so that more of the same nuts can be produced, with the owner’s permission, of course. Nuts from the 2018 crop were cracked and weighed. Evaluation results were shown at the Spring Meeting on March 23, 2019. You can also request a copy of the results after the meeting via email or phone. Above is the Microsoft Excel spreadsheet used to record all of the results from the Nut Evaluation Day. Many thanks to the Nebraska Nut Growers Association for the use of their Excel file. Hican 1 sample after cracked out of the shell. The meats on the left are from the first crack and represent 75% of the meats. A good first crack number.